Thursday Plantation Cream captures the antibacterial power of Tea Tree Oil to treat dry or inflamed skin conditions. 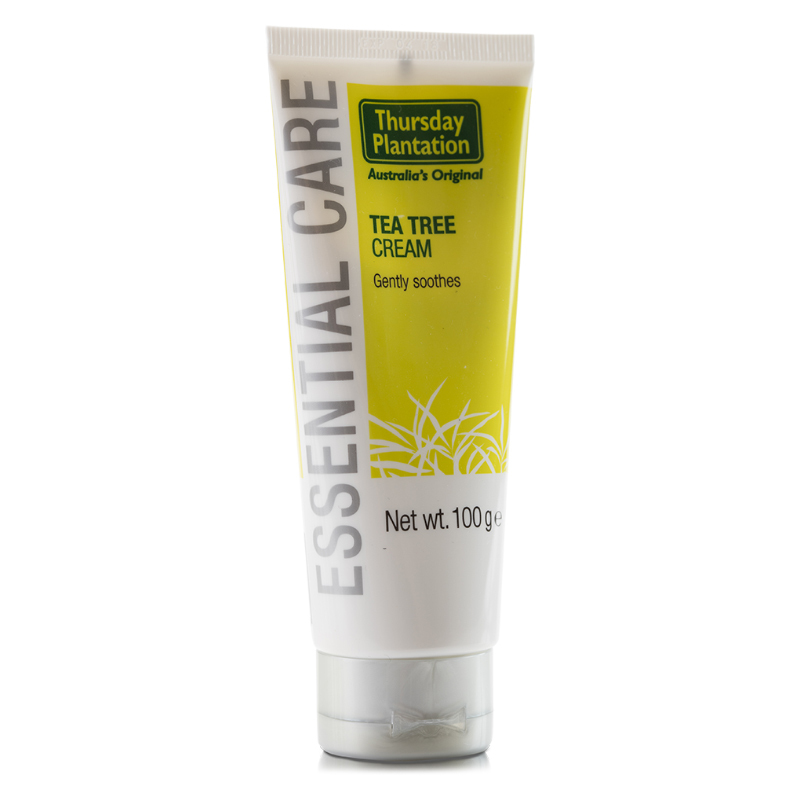 Contains Australian Tea Tree Oil, Australia’s natural antiseptic. Water/Aqua, Melaleuca Alternifolia Leaf Oil, Glycerin, Cetyl Alcohol, Sodium Stearyl Lactylate, Glyceryl Stearate, Macadamia Integrifolia Seed Oil, Sodium Hydroxymethylglycinate, Bentonite, Xanthan Gum, Citric Acid, Limonene.